The museum dedicated to the great English composer was in danger of folding, until the conservation body stepped in. Now it is to be transformed. Great things are going on in the sleepy village of Lower Broadheath, deep in the glorious countryside between Worcester, Malvern and Hereford. 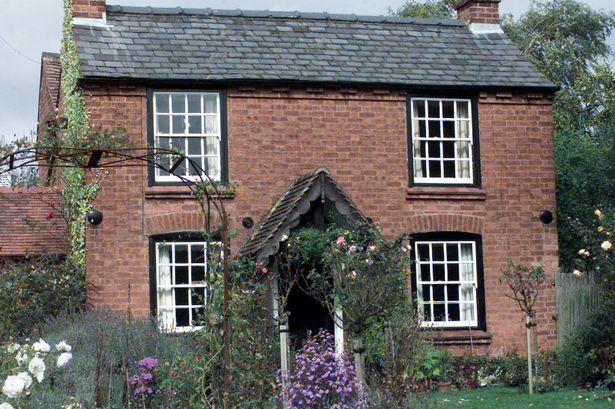 The Elgar Birthplace Museum, based around “The Firs”, the humble cottage where Elgar was born in 1857, is being transformed as a visitors’ attraction. Currently the venue is closed while a huge refurbishment – and indeed rethink – is being carried out. In fact its care has been handed over from the Elgar Foundation to the National Trust, and the ramifications of this transfer are considerable. Members of the West Midlands branch of the Elgar Society (plus guests from elsewhere – the numbers attending were awesome) thronged the Carice Room at the venue one Saturday afternoon last month to hear a presentation outlining the NT’s plans for the relaunch of the Birthplace as a profitable tourist place upon which to drop in. We heard some surprising and worrying facts, such as the news that the Birthplace has been running at a loss of £50,000 per annum, and, astoundingly, that it has attracted only 8,000 visitors a year. “We want to make it a going concern, and attract more visitors, 30,000 a year,” said Jane Hubbard, National Trust project manager, at the start of her impressive Powerpoint presentation. “But how do we cope with that, and yet not spoil the atmosphere? We’re going to drop the word ‘Museum’, and return the cottage to something more of a domestic theme. So the entrance, which has been in the past somewhat anodyne, will be transformed into something more cosy and welcoming, and there are plans for a makeover of the upstairs birth-room as well. There are also plans to make more use of the land around the Birthplace cottage and the Visitors’ Centre, with its attractive gardens and orchards, and to lay out a better car-park. The reception area of the Visitors’ Centre is being redesigned, though the important central display of Elgariana will be retained, and the mock-up of Elgar’s study in the cottage, which of course never actually featured there, the composer leaving his birthplace at the age of two, will be recreated in the Centre. My own memories of the Plough go back nearly half a century, when on my first-ever visit to the Birthplace I called in there for a pint and enjoyed one of the most delicious cheese-and-onion cobs I can ever remember. Since those happy days the establishment has gone through a chequered history, serving excellent pub meals, but apparently suffering from the lack of passing trade. Perhaps the projected expansion of visitor numbers will make the place viable again? Since the departure of the Hereford and Worcestershire Music Services from their base at the Elgar Birthplace Museum there is much unused space, and the National Trust has plenty of plans for filling it. And the National Trust is grateful for the opportunity to add another musical venue to its somewhat small collection in that particular portfolio. “We look after Vaughan Williams’ Leith Hill Place in the Surrey Hills,” says Jane, “and that’s quite a contrast to Elgar’s humble beginnings. That last comment came after the disturbing revelation that, had the lease of the Elgar Birthplace Museum not been handed over to the National Trust (for an initial five-year period), the whole enterprise would have been forced to fold within a couple of years. Meanwhile, there are some well-considered reservations. “I feel reassured that the National Trust is proceeding wisely in taking over the running, but I have a fear that visitors may not be able to buy all the Elgar recordings and books they have in the past, and the long-term position with researchers accessing all the archive material at the Birthplace is uncertain,” Elgar scholar Michael Trott tells me. Jane Hubbard explains that a review of the museum’s extensive archives will be completed by October 2018, “which will make them more accessible and available online”. And she concludes by affirming the National Trust’s desire to return the Elgar Birthplace to the vision held by the composer’s daughter Carice, that here should be enshrined her father’s biography. When Elgar was ennobled in the June 1931 Birthday Honours he chose the unique title of Baronet of Broadheath. Now the National Trust hopes that his Birthplace will be reopened in time for his birthday on June 2. * February 4: Jon Malaxetxebarria conducts the Solihull Symphony Orchestra in an early Valentine’s concert at Shirley Methodist Church (3pm). The programme includes works by Tchaikovsky, Wagner and James Horner. solso.uk/tickets. * February 5: Jeffrey Skidmore directs Ex Cathedra at Birmingham Town Hall (4pm) in an all-Purcell programme, culminating with Dido and Aeneas, the first great (some consider it still the greatest) English opera. 0121-780 3333. * February 7: Nobuko Imai gives a celebrity viola recital (arrangements of Brahms’ E minor Cello Sonata and Franck’s Violin Sonata), accompanied by Robert Markham, at Birmingham Conservatoire (1.05pm, 0121-331 5909).